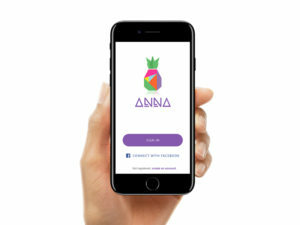 ANNA is a question-and-answer site which allows individuals and businesses to ask, answer, and gain rewards for sharing knowledge. We reward our individual users, with cash and vouchers, for all the personal and professional knowledge that they have, and also for giving feedback and answering questions from their favourite local businesses and brands. We are looking for bloggers to share and participate in our competition before we launch. We are a tech startup with a social agenda- we make it rewarding for people to help each other; in the form of sharing knowledge. We are holding a competition before our launch; we are on a mission to find the most important questions facing us and our society today. The rules for entry are simple: Like our Facebook page or follow our Instagram account, ask your question on either platform, under one of the contest pictures followed by #themostimportantquestion and then tag three friends to participate also. We are giving away cash from our £10,000 cashpot giveaway to the 20 most popular questions asked. For every question asked, we are also donating 50p to various charitable youth centres in London. Our question-and-answer site will cover topics across the board. Our users will ask and answer questions in topics ranging from beauty, health, technology, politics, food, lifestyle, economics, etc. etc. Therefore we are looking for bloggers in almost every sector with all kinds of interest. The more diversity of users that we have; the better!